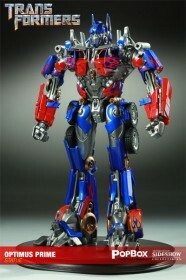 Sideshow Collectibles is proud to present the Optimus Prime Statue by PopBox Collectibles. 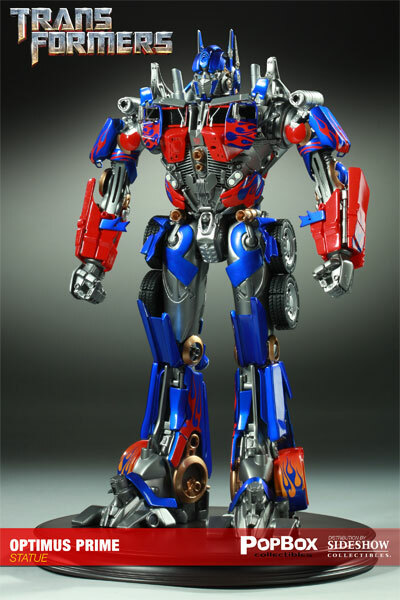 This statuette is the result of a delicate balance between skilled hand craftsmanship and precise computer assisted output, bringing the Autobot leader to life. The Hot Rod flames that personify Prime in the movie are faithfully reproduced as high-quality water-slide decals, each carefully applied during production. The availability of two sets of switch-out hands and a set of his energy sword with magnetic attachments allows you to effortlessly interchange parts for a personalized display. This showcase piece, consisting of over 100 individual parts, is cast in heavy weight, high-quality polystone then hand-painted to exacting standards. Each piece is packaged in a full color box with cushioned foam interior and comes with certificate of authenticity. Toywiz Malaysia will be taking preorder for this item now and expected arrival date June/July 2010. Preorder price will be RM1280. Item in stock now and selling at RM1299. I am staying in Singapore. Do you have delivery service to singpaore and where is toywiz located in Malaysia? JB,KL???? this status is AWSOME!!!!!!!!!!!!!!!!!!! i luv it,i want one so bad now. 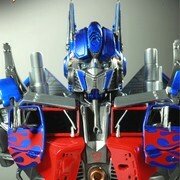 I luv transformers!